on some VMs I use write back caching. So my problem is, that I have huge Problems with the Rook/Proxmox combination. Bot systems Rook/Ceph and Proxmox are on different Systems in the same network in the same Datacenter. Everytime I want to schedule a Host down (which I tried with setting all OSDs to down and add-noup) or as happened right now, that one host staled and I had to restart the host as it was not responsive, all or at least one VM breaks its filesystem completely. I set the failure domain to Host so as far as I understand, Ceph should be able to handle this failover, but it does not. What am I missing? 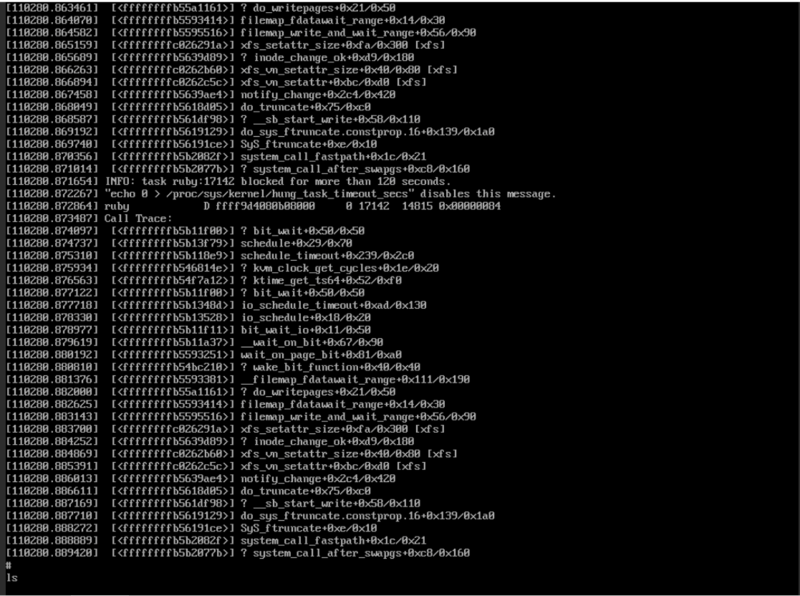 Thought already that the add-noup option may break something but it also happend with a "natural" failure of one host. message: ReplicaSet "rook-ceph-operator-555d586566" has successfully progressed. If thats not enough to reproduce retry. From 6 VMs 4 are most likely crashing for me, while Gitlab seems to crash every time. Expected result would be, that the vm is still running. I did now further testing. Maybe it is because we were running snapshots via the admin user at the rook-tools pod before maintanance or after an outage (as I paniced). At least I could reproduce the behaviour without bringing nodes or OSDs down. I will do further testing. Browse other questions tagged kubernetes proxmox ceph or ask your own question. How does nodeAffinity work in DaemonSets?